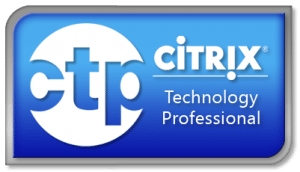 This free tool, developed by CTP, Pierre Marmignon was designed as a companion to User Profile Manager, a Citrix tool that provides an easy, reliable way to manage user personalization settings (i.e., user profiles) in Windows environments. User Profile Manager is a whiz at managing user profiles, but it does not replace login scripts. Using VUEM with User Profile Manager, you can avoid login scripts to manage your user profiles and, while you’re at it, you can manage your entire environment… everything on your desktop including your applications. Eliminating login scripts – With VUEM, you can replace all your login scripts with a centrally managed tool, allowing you to manage all actions the most complex script can do and more. VirtuAll User Environment Manager has been designed to provide a new flexible and efficient solution for virtual desktops environment composition. No more scripts to maintain, only a single console managing the user desktop! Optimizing user experience — Includes two different agents: the Console Agent, a command line application designed to execute all actions silently and exit after tasks are done (like a standard logon script), and the UI Agent that will execute with a splash screen and stay in memory after tasks are done. The user will be able to call the UI Agent via a systray icon, and this interface will provide additional features and customizations. Getting centralized management – With an easy-to-use admin console, gathering all configuration settings, adding a new application shortcut on a specific virtual desktop is now a matter of seconds! All configuration settings are stored in a central Microsoft SQL Database (SQL Server 2000 to 2008 R2, Express Editions supported) ensuring great performance and reliability. Improving visibility – VUEM is using a user based log file to trace all actions. To find applied settings at a glance administrators can also use Administration Console Modeling Wizard or user side Resultant Actions Viewer. Deploying with ease – Agents are stateless so you do not have to specify any setting during setup. All you have to do is to deploy them silently and then activate them through Group Policies. Released in June 2011, VirtuAll User Environment Manager (aka V.U.E.M) is an environment management tool designed for Virtual Desktops but that can also run on traditional desktops. It’s purpose is to get rid of login scripts that can be really powerfull but hard to maintain and make evolve. VirtuAll User Environment Manager Administration Console and Agents are written in C# 4.0. All Agent actions are written using unmanaged API calls wich means that the Agent is calling directly the Windows API do process actions. This ensures the fastest possible performances while managing User Environment. SQL Server Database (2000 to 2008 R2, including express releases) ensures that are all configuration settings are retained in a secure database platform. The VirtuAll User Environment Manager Database model has been designed for efficiency and has been validated on environments containing up to 10 000 concurrent users. Note: Both agents are provided with translation files including English, Spanish, French and German, and additional languages can be added if needed. UI Agent executes with a splash screen and stays in memory after tasks are done. It is then accessible through a systray icon. As shown below, just right-click on this systray icon to get a menu that includes options to Refresh Settings and Manage Printers (that allows the user to override the default printer selection). There are two user license editions that work with unlock codes, one for the community called a Community License and one for each subscriber a support contract, called a Subscriber License. A Community License is a free version with no support contract, and a Subscriber License is delivered with a Maintenance & Support Package that can be purchased via PayPal for an annual cost of approximately $9 USD per user. 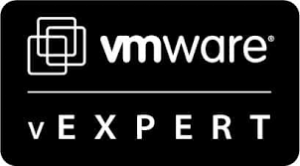 Register for free on the VirtualDesktopsInfo.com site to view VUEM support contracts, access downloads, and participate in the support forums. Note: These two editions currently have the same feature set; however, feature sets are subject to change. 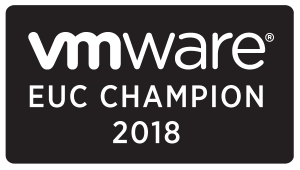 This project started a year and a half ago by Pierre Marmignon, a Citrix Technology Professional and active community contributor, who is well known for the useful management tools he has built and freely provided for the benefit of the virtualization community and industry. Pierre noticed that the community was missing a free baseline user environment manager, so he decided to build one using adapted freeware and scripting. His main goal was to eliminate the need for login scripts that can be difficult to maintain and evolve, and he has met this goal with the VUEM tool that he has publicly released today! VUEM Community License Key – * note the community license key is valid 1 year. VUEM Release Notes – Current version of VUEM is v1.0.3. Kudos to Pierre Marmignon for this great work.